This selection is an excerpt from Handbook of Christian Education . The God of the Bible is not a god of man’s own making or choosing. The eternal Creator of all things existed before man and exists independently of man. God, however, has revealed Himself to man, speaking through His Word (the inerrant, divinely inspired and preserved sixty-six books of the Old and New Testaments) and His works. His self-revelation is the substance of Christian belief. What we call biblical Christianityis a system of certain basic truths that God has revealed. Among these truths, the following are fundamental to Christian education. Of all created beings, only man is spoken of in the Scriptures as being created in God’s image. “And God said, Let us make man in our image, after our likeness:…So God created man in his own image, in the image of God created he him; male and female created he them” (Gen. 1:26–27). This creation of man was instantaneous—by a direct act and not by an evolutionary process. Possessing the divine image, man reflects God not only in his moral, intellectual, and emotional capacities but also in his aesthetic sensibility, social inclinations, and other qualities of his personality. To acknowledge this correspondency is not to claim a degree of deity for man but to recognize that man, the creature, uniquely bears the stamp of his Creator. 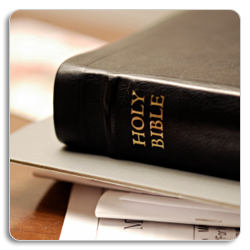 Christians have a biblical mandate to educate in their homes and in their churches. In order to reinforce the educational ministries of these institutions or to protect their min- istries from secular interference, Christian parents or church members, acting either individually or in concert, may elect to form a Christian school. In doing so, they are acting from religious conviction. To deny them their choice of means in carrying out the biblical mandate of Christian education is to deny them the exercise of their religious convictions. The whole body of Christian educational theory rests on the recognition that all truth is of God. He is the God of truth (Ps. 31:5); His Son is the Lord of truth (John 14:6); His Spirit is the Spirit of truth (John 14:16–17). All truth, whether discerned or undiscerned by man, springs from a single source and therefore consists as one harmonious whole. Consequently, God’s written self-revelation is the starting point of all ratio- nal inquiry and the guide to all interpretation of reality. No concept can be true that conflicts with the statements of the Scriptures. Conversely, no untruth is a legitimate support of divine revelation or has any place in the ministry of spiritual truth. A reverence for the God of truth compels a conscientious regard for accuracy in all areas of factual investigation and reporting. This knowledge of God implies more than just knowledge about God. Certainly an acquaintance with the facts about God in the written revelation is important. But the knowledge of God that is unique to Christian education is a per- sonal knowledge that begins with repentance of sin and faith in Jesus Christ as Savior and develops through obedience to and communion with God. To know God is to be born into the family of God and to live in fellowship with Him (1 John 5:20; Phil. 3:10). It follows that without a student body composed mainly of students possessing this personal knowledge of God, no school can legitimately be regarded as a Christian educational institution. The imitation of God’s works by the Christian student necessitates a continual emphasis upon the goal of service and a provision in the curriculum for instruction in skills and dis- ciplines that equip students for service. Academic subjects—whether in the humanities or in the natural sciences, whether general or strictly vocational—are studied not as ends in themselves but as means of improving the student as a servant of God. Such instruction includes not only mental but also physical training: instruction in the proper care of the vehicle with which God has provided man to serve Him. The student learns that bodies must not be abused or neglected but be de- veloped and disciplined for the service of God and presented to Him for His use and His glory (Rom. 12:1–2; 1 Cor. 6:20). The imitation of God’s works by the student requires provision in the curriculum for the development of all the powers with which he has been endowed by his Creator and the di- rection of these refined powers into channels of godly action. One of these powers is creativity. Human beings have been given the ability to create in imitation of God. It follows that Christian creativity reflects God’s character and ways as completely as possible. A method is, of course, a means to an end, not an end in itself. Methods are chosen for their power and efficiency in ac- complishing designated goals. In the Christian school they are chosen also for their reflection of the example of God, with the assurance that God’s methods are the most effective in carrying out His will. Christian methodology naturally rejects any method contrary to the principles of Scripture. The Christian school administrator exercises authority over both the teacher and the student in order to serve the teacher in his service of the student. The chief responsibility of the administrator is to provide an environment most favorable for the communication of Christ to the student. The teacher can function as a “teacher come from God” (John 3:2) only as the administration serves his needs and, through him, the needs of the student. Conversely the administration can serve the teacher and the student in the process of Christian educa- tion only as they submit to its rule. As a godly administration undergirds the ministry of a godly teacher to a responsive student, the goal of godliness in the student’s character and action is progressively realized.